An estate plan that includes a will helps you pass on your assets in a way that reflects your values and your specific desires. But, an estate plan that includes one or more trusts may also offer many additional benefits, including protection from a will challenge. So taking the time, and spending the money to create a well-constructed estate plan and will should be a priority. But, there is a catch. A will is easy to challenge under Pennsylvania law. Now it's hard to win the challenge but it's easy to file and start the challenge. For that reason, your will, trust and related estate planning documents need to be written properly, carefully executed, and coordinated with one another in order to accomplish your estate planning goals and to survive a contest or attack. There are many ways people contest a will, in full or in part, by saying it was made under undue influence and or duress, incapacity (not being well enough to create or change the will) fraud or mistake. 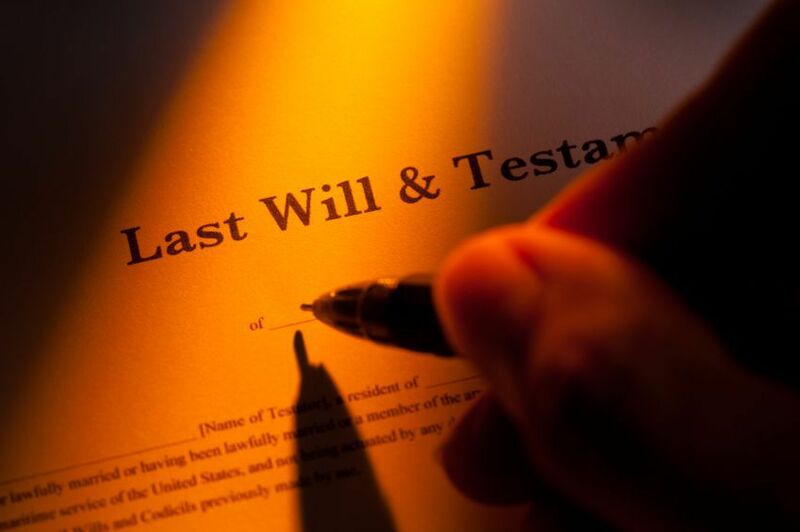 The challenge of a will or any estate planning (such as a trust, or a beneficiary designation) can be very expensive, not only for the person or people contesting the will, but also for your estate and thus your heirs. If the court does find your will has been improperly made or changed all of or part of the will will be invalid and unenforceable. If a will is voided, the estate will be distributed under Pennsylvania's intestate laws, which may distribute your estate in a way you would not have wanted. If only part of the will is void then the share from the voided distribution is dumped into the residuary estate (this is the remaining assets not specifically mentioned in the will) and dispersed according to the will. In order to avoid a successful will challenge, it's therefore important for you, and for your estate planning lawyer and advisers to understand and to avoid the common ways in which a will is challenged. Undue influence could be present when a trusted person influences the testator (the person writing the will) to make a will that benefits him. For that reason, your lawyer should make sure that they meet directly and privately with you and that they document that you have the required capacity to execute a will. Incapacity means that the testator lacks the physical or mental ability to manage one's affairs and disqualifies that person from being able to write or change their will. This could happen if the person making the will is presented with information that made them change their mind about whom to leave their property to. For example, if Sue tells her dad that her sister, Jane, was a thief and trying to get him to change his will so everything would go to her, even though Jane really wasn't a thief, Sue may have committed fraud. For this reason, the adviser should again confirm that you are acting on your own and not based on incorrect information. A mistake can be found when it is proven that the testator didn't intend to include certain provisions in a will or if the testator signed the wrong will. When the mistake involves a signature, a court may revise a will that was signed by mistake, such as when it's clear that a husband and wife intended to make reciprocal wills but signed the wrong original documents. Instead of contesting a will or claiming it's invalid for any reason, there's another way to interfere with an estate. A lawsuit can be filed against the person who's receiving the property that they think should be theirs when the creator of the will is still alive. This tortuous interference requires proof that the defendant (person being sued) interfered with the creation of the will for any reason. So how do you avoid all of these problems that directly interfere with your intent as to what you want done with your real and personal property, your assets, and your instructions as to nursing home care, tax avoidance, among many other things. When your will is created you can include a "no contest" clause to stop anyone from challenging your wishes. If a beneficiary (someone being given something under the will like a spouse or child) contests the will they will get nothing at all. If the beneficiary chooses not to contest they get what the will directs them to have. Make sure your state laws enforce no contest clauses. This strategy doesn't work as well when you are completely omitting a person under a will since they still have nothing to lose. For that reason, some testators include a gift which will be lost if the will is challenged. In cases where there is no gift, be careful to document that you are intentionally omitting one or more heirs. An informal and non binding writing along with your will can offer guidance and an explanation for why you have set up your will in a particular way. Often this can help avoid a will contest because the beneficiaries and the court (if there is a will contest) will have an understanding of why your will is the way it is. A family meeting can also be a great way to explain your overall estate plan to your family, the law firm you would like to administer the will and where the estate plan is located. A family meeting is a place for discussion and an understanding of your intentions before you are gone. 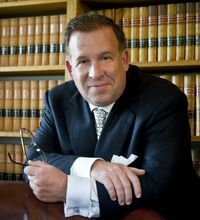 A truly effective trust and estate planning lawyer will make sure to ask you the right questions, to document the answers, and will make certain that all of the formalities required by Pennsylvania law are being followed in order to prevail in a will contest. For example, I ask every client - every time - a series of questions before the witnesses and notary that document that document that the person executing the will has testamentary capacity, that they understand the documents, reviewed them and many more factors. When selecting your counsel you should make sure that they will take precautions to protect your estate plan and to prevent successful challenges. In conclusion, an estate plan that includes a will, trust, and beneficiary designation(s) is only valuable if it works. Make sure your will is as contest proof as it can be and accurately reflects your values and wishes as to your assets, nursing home care, distribution schemes among the many other things your will does. For an appointment to review or update your estate plan call - Dave Frees at 1-888-573-7407. 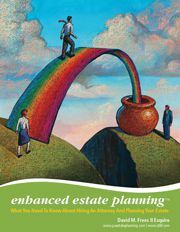 For our new report on estate planning: Enhanced Estate Planning For Affluent Families click here. Michele, Unfortunately, we cannot answer specific legal questions posted to the blog as the answers may vary and would otherwise be privileged if you retained counsel. Our advice is to consult a lawyer practicing in the county where the will is probated. If the daughter of the testator is listed to not receive anything from the estate but daughter's name is spelled incorrectly in the actual will, does that mean anything? Or does that not matter?